but then I remembered the gorgeous okra and corn on the cob just bought two days ago at the farmers market. I needed a dinner that incorporated both these purchases. Oh, and there’s that partial bag of spinach I need to use or lose… and that goat cheese I bought with no real plan for its use (I love the stuff and can’t help myself sometimes) … this meal was clearly meant to come together. 2. Add pine nuts and garlic, cooking 1 – 2 minutes, until lightly toasted. 3. Add cooked quinoa and spinach, cooking and stirring occasionally until quinoa is heated through and spinach is wilted. 4. Remove from heat and fold in cheese. 5. 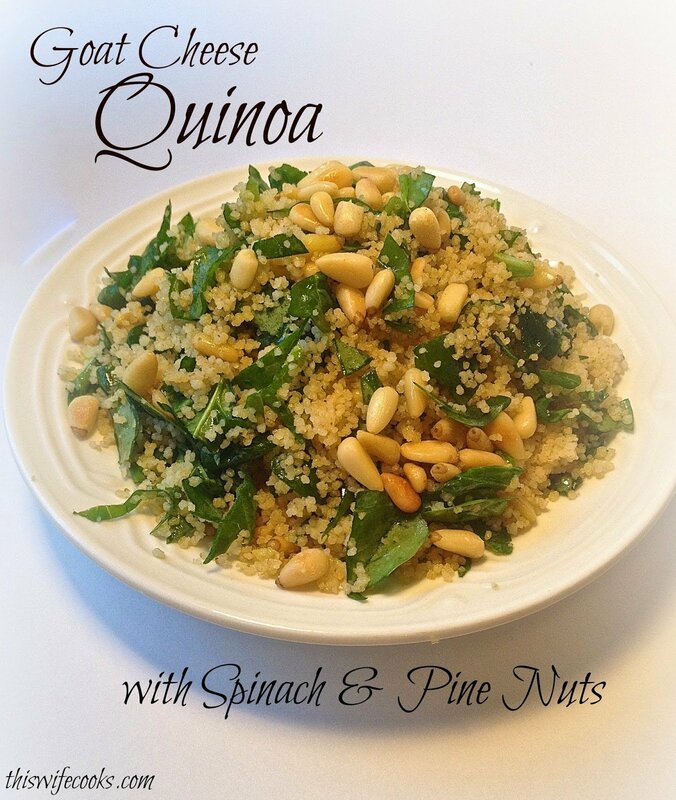 Garnish with additional 1 TBSP pine nuts and serve warm.